Mar. 16, 2016 2:59 p.m.
A milestone achievement for Central Albertans, particularly the Red Deer community, was marked last week with the official groundbreaking of the Gary W. Harris Centre for Health, Wellness and Sport. The Centre is a crucial facility for hosting the 2019 Canada Winter Games, and is an addition to the Red Deer College (RDC) Campus, officials say. Premier Rachel Notley, Minister of Advanced Education Marlin Schmidt and many more dignitaries attended the launch at RDC last Friday. Notley brought with her the official announcement of $20 million from the Alberta Government to support construction, which is expected to be completed in the summer of 2018. “It gives me pleasure to be able to invest in infrastructure that will serve this community for generations, while providing significant economic benefits for the region. The Gary W. Harris Centre will be a crucial athletic performance and training venue, both during the 2019 Winter Games and long after,” Notley said to a crowd of several hundred at the RDC Arts Centre. Many partners have come together to support the funding of the Gary W. Harris Centre, including the City of Red Deer, Red Deer County, the Province of Alberta and a number of private donors. The facility will bring a number of new learning spaces, athletic training facilities and new programming availability for students. Joel Ward, president of RDC, was excited for the announcements and introduction of the facility to the community. “One thing we’d like our Premier to take back to Edmonton is the passion that this community has for this institution and the communities within Central Alberta which we serve,” Ward said. Ward explained RDC had been planning a Centre of this calibre for nearly 40 years. He said the new facility would open opportunities for not only a great 2019 Canada Winter Games, but also for RDC to host national championship tournaments in hockey, basketball, volleyball and track. Notley recognized the Centre’s potential to create approximately 2,000 jobs during construction, to benefit the province economically during the Winter Games and its lasting legacy in the Central Alberta community. “Beyond the immediate economic benefits of this project, the centre will help strengthen the already impressive post-secondary options that Red Deer College provides. The future health professionals trained in this building will go on to serve others in countless other communities around our province, and our health care system will be stronger for it,” she said. 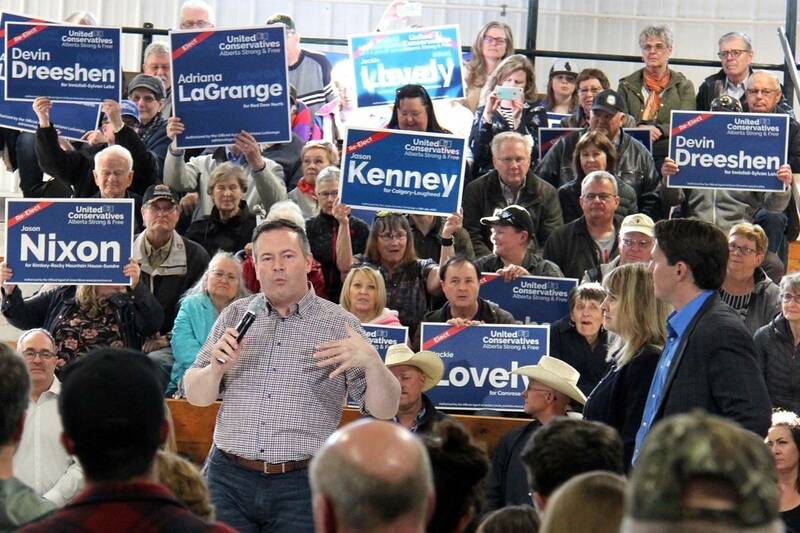 While the premier was available, local media gathered to question the provincial perspective on issues such as the carbon tax, problems at the Red Deer Regional Hospital and the current economic status of Alberta. “There is no question that all of Alberta is going through probably the most difficult economic times we’ve seen in decades,” Notley said. When asked if the province would support upgrades and repair costs at the Red Deer Regional Hospital, Notley said the local hospital was not the only one in the province suffering from a lack of funding. “The problem actually reveals a bigger problem and that is for many, many years the government hasn’t actually put funding into hospital upgrades,” she said. Notley also commented on the carbon tax.